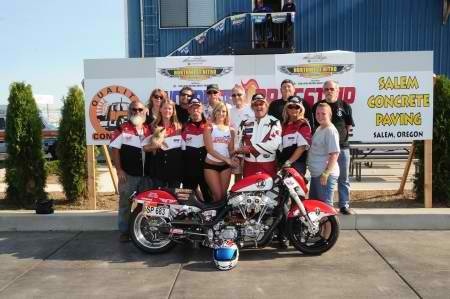 Verl “Smitty” Smith has taken the VSR4VETS-Biker’s Choice Pro Street powerhouse to a top 5 in the nation although competition opportunities were a little slimmer this season. As the economy continues to crunch, racers tighten their belts and racing budgets. Although there were not as many events available “out west” this year, Smitty did make several high profile events and the results were impressive as always. The 13th Annual Griz Robinson’s Memorial- Veterans Bike Show at the Black Hills Health Care System (VA Facility) was another success chaired by VSR4VETS as more folks made time for some of American’ veterans at the most well attended and high profile event prior to the AHDRA Sturgis Race at the Rally. 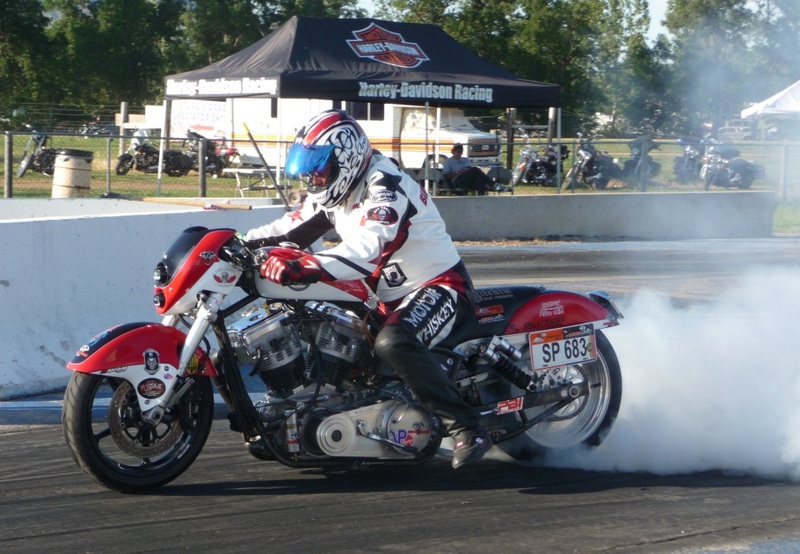 Sturgis wasn’t just about showing off, doing burnouts and smoozing with sponsors, it was about WINNING and once again Smitty won the Right Quick Street Pro class. Woodburn, Or. was next on Smittie’s western swing this year, another victory and a personal best of 8.92 ET at 150.34 mph at the AHDRA Northwest Nationals event presented by Latus Motors. Please remember, if it wasn’t for our veterans we couldn’t do what we do!